Don't these look good? 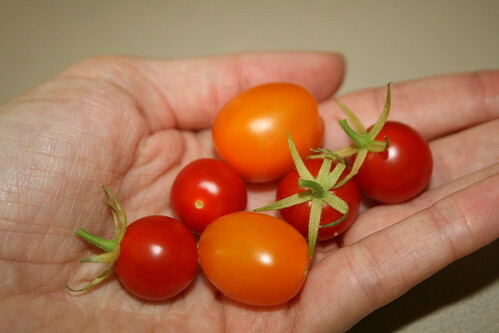 I picked them off my tomato plants today. They were yummy. While we were homeless I bought two tomato plants. They thrived in the eastern window they were placed in. I have yet to plant them in a pot but they seem to be doing well in my kitchen window. I think they'll do a lot better when I get them outside though. wow, cute!!! and you were just showing me those. Yum!